Written to accompany the 2008 exhibition, Dawn of a Colony : Lyrical Light (St Ives 1889-1914) at Penlee House Gallery & Museum, Penzance, of which the author was Curator, this significant, and extensively illustrated, book discusses the major paintings by the most important artists working in the St Ives art colony during its pre-War heyday, many of which won awards at international exhibitions, particularly those in Paris and Pittsburgh. 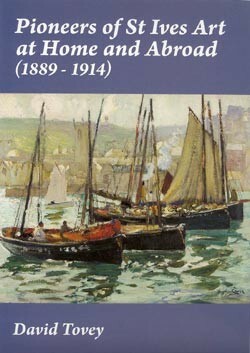 This was a period when the St Ives colony won a world-wide reputation as a centre for both the practice and teaching of landscape and marine painting, with artists from many different countries coming to study and work en plein air alongside British artists, who had secured considerable reputations in these genre both nationally and internationally. Labelled by the author, ‘St Ives Tonalism’, the prevalent style was based on a careful study of tones and values, inspired initially by the Barbizon School, coupled with an emphasis on the effect, rather than the topographical subject, and a desire to evoke a mood or inspire poetical associations. Previously unresearched, the author reveals a significant movement in British landscape and marine painting, featuring the future Royal Academicians Adrian Stokes, Arnesby Brown, Julius Olsson, Alfred East and Algernon Talmage. Other important members of the landscape section included Arthur Meade, John Noble Barlow, Fred Milner, Charles Eastlake, Greville Morris and Garstin Cox, whilst significant marine painters included Moffat Lindner, Edmund Fuller, Louis Grier and the watercolourists, John Bromley and Charles Mottram. There were also a number of fine figure painters in the colony, such as William Titcomb, William Fortescue, William Eadie and Thomas Millie Dow, whilst important female artists included Marianne Stokes, Dorothy Webb Robinson, Mia Brown and Jessie Titcomb. 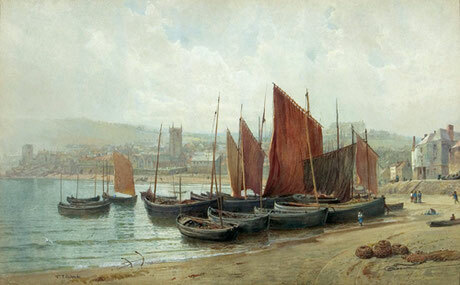 Often labelled ‘Newlyners’ by contemporary critics, the author argues that the contribution of the St Ives artists to the reputation of the ‘Newlyn School’ has been overlooked. The book also highlights the influence of the colony upon the numerous foreign artist visitors, and the way in which friendships forged led to St Ives artists gaining unprecedented exposure internationally, particularly in America. Foreign artists featured extensively include the Americans Sydney Laurence, Elmer Schofield, Frederick Waugh, Paul Dougherty, Abbott Thayer, Gardner Symons and William Wendt, the Canadians Mary Bell Eastlake, Emily Carr and Harry Britton, the Australians Phillips Fox, David Davies, Hayley Lever, Arthur Burgess, Will Ashton and Charles Bryant, the Kiwi, Herbert Babbage, and the Dutchman Bosch Reitz. This book, therefore, completely re-evaluates the significance of the St Ives art colony not only in a Cornish context, but also on the national and international stages. It will surely become the principal reference work on this period.